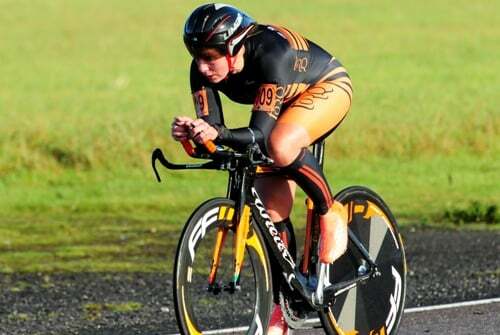 Melanie Sneddon concluded her super season with a Top 10 at British Cycling’s Elite National Circuit Time Trial Championships. Melanie’s last race in the 2016 calendar was met by torrential rain. Thankfully the rain dried up with minutes to spare and was followed by glorious sunshine, which meant that the motor racing circuit actually dried out to leave the women with some good conditions. Melanie put in a strong performance, which resulted in 9th place overall and 1st V40.